Every season, we lap up the glossy street style shots from the fashion capitals of the world. However, you can't beat the candid outfit pics of Instagram. They might not have the polish of professional offerings, but they do have the unique ability to capture the buzzy, behind-the-scenes atmosphere that abounds at fashion week. This season was another winner when it comes to style inspiration, and we were glued to our phones as we witnessed the outfit updates that were being uploaded in real time. From Paris and London to Milan and New York, Instagram's most stylish were out in force, delivering some seriously enviable ensembles. 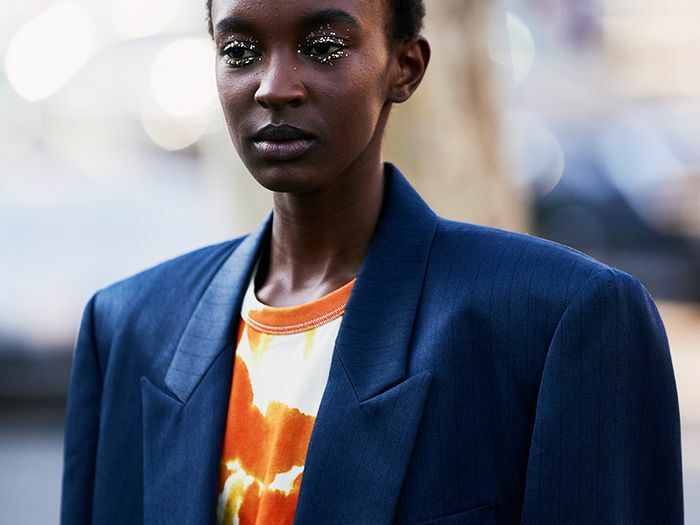 Whether it's Alexis Foreman's minimalistic separates, Jeanette Madsen's floral frock or Nnenna Echem's tonal pairings, scroll down to see our favourite Instagram looks from fashion month. Style Notes: Emili Sindlev sure knows how to do print clashing. 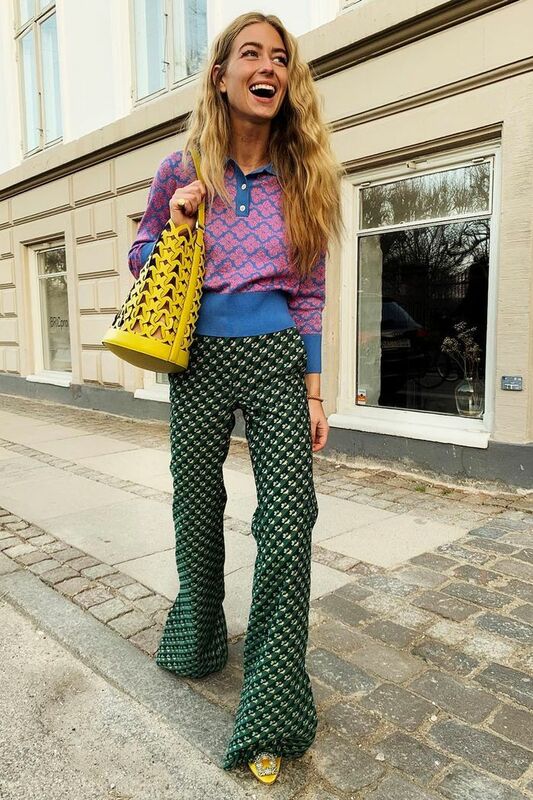 We are so into the retro feel of her printed flares and a knitted top. Style Notes: Hannah aces the double-jumper look simply by layering two Uniqlo knits. Her silky slip skirt and pink mules, meanwhile, add an elegant twist. Style Notes: We like how Oumayma has taken two wardrobe staples (the white shirt and black trousers) and elevated them by incorporating unusual silhouettes and statement shoes. Style Notes: We're still not over the tonal trend, and this blazer-and–midi dress look shows why. Try this formula if you're struggling to dress for the tricky transitional weather. Style Notes: We can always trust Alexis to give good minimalistic styling. Jeans and a blazer might not sound revolutionary, but upsizing them and adding on-trend accessories are what makes all the difference. Style Notes: We're taking notes from Marissa on how to make a utility boilersuit feel polished. The answer is strappy heels and a structured tote. Style Notes: This ASOS slip skirt has been all over fashion week this month, and Billie makes a good case for neon by styling hers with a white top and sneakers. Style Notes: There's plenty of '80s appeal in this throwback blazer-and-kitten-heels pairing. Sheer black tights and pearl earrings are essential additions to any LPD (little pink dress). Style Notes: Who What Wear's own Emma Spedding offers up a dreamy colour pairing with her neon blouse and camel-coloured & Other Stories blazer. Style Notes: Jeanette Madsen's floral frock is so Little House on the Prairie. The puff sleeves add interest while the heeled boots keep it from feeling too frumpy. Style Notes: This look is all about the accessories. A velvet headband and mock-croc handbag kick this dress-and-blazer pairing into 2019. So good. Style Notes: Proof that a classic trench will never get old. Kudos to Renia for giving hers a new-season twist with Jacquemus's raffia bag and white boots. Style Notes: This yellow floral frock is pure joy. It would look so good layered over a white roll-neck now and with tan sandals come summer. Style Notes: Lilac is having a bit of a moment, but it can be quite hard to style. Take your cues from Joy and combine with monochromatic separates. Style Notes: Eva Chen can do no wrong. The Instagram star paid tribute to Karl in a vintage Chanel jacket and jeans. Just perfection.